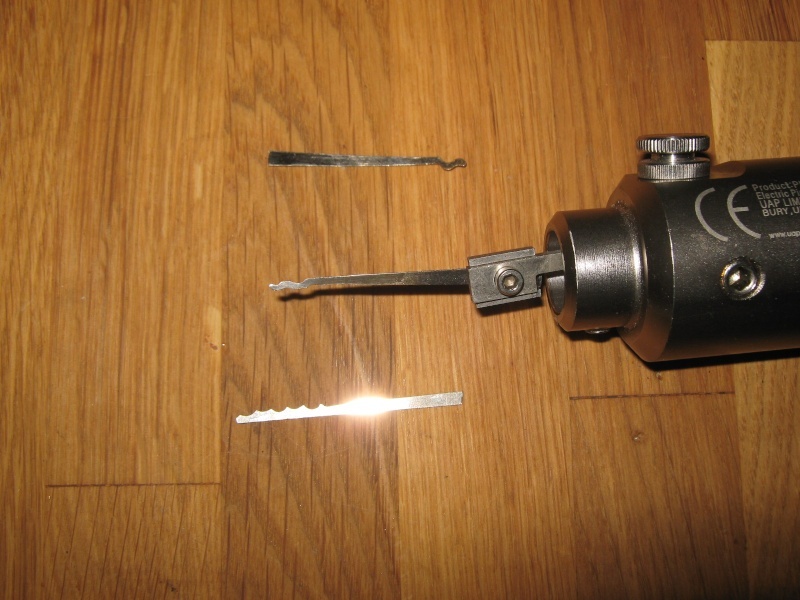 As a locksmith and a lock picker I have an enormous amount of locksmith tools, I like buying tools and always willing to try something new ,but the real fact that on a real job my tool bag is not that full ,I will only use 4-5 different picks that would be the most likely to work. 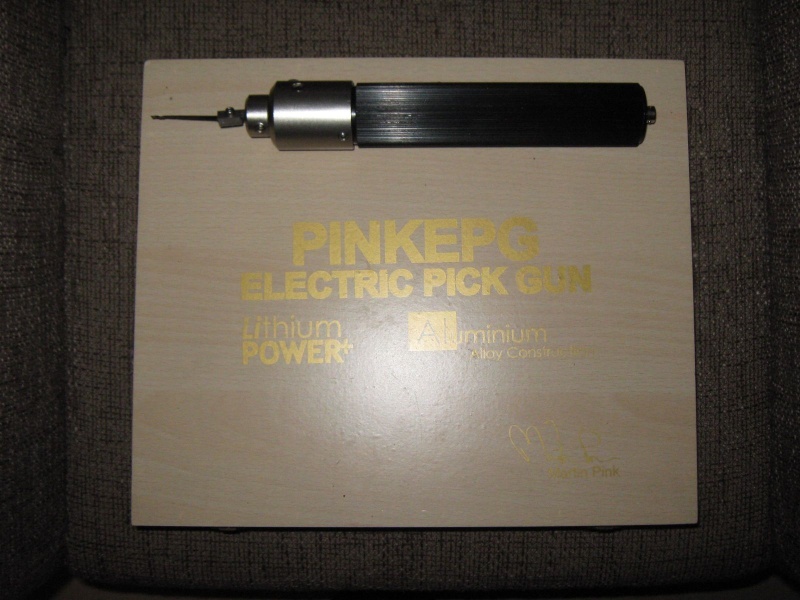 The EPG (electric pick gun) is defiantly my first choose as it will save time and has a very high chances of success. 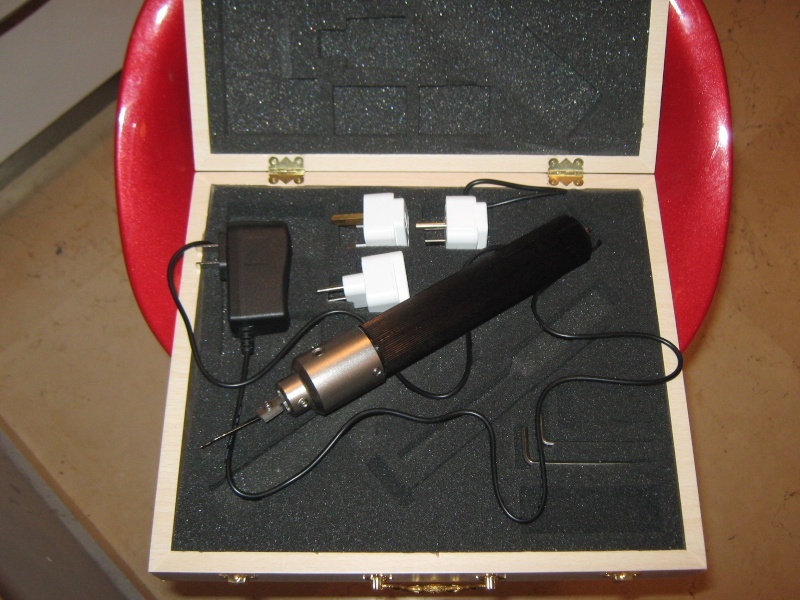 The first EPG I got cost me hundreds of Pounds ,it was an EPG from Wendt , a very powerful tool ,very heavy and uncomfortable as you have to carry the charger with you and basically would always fail on a real job.. (but will work great on the vice) . 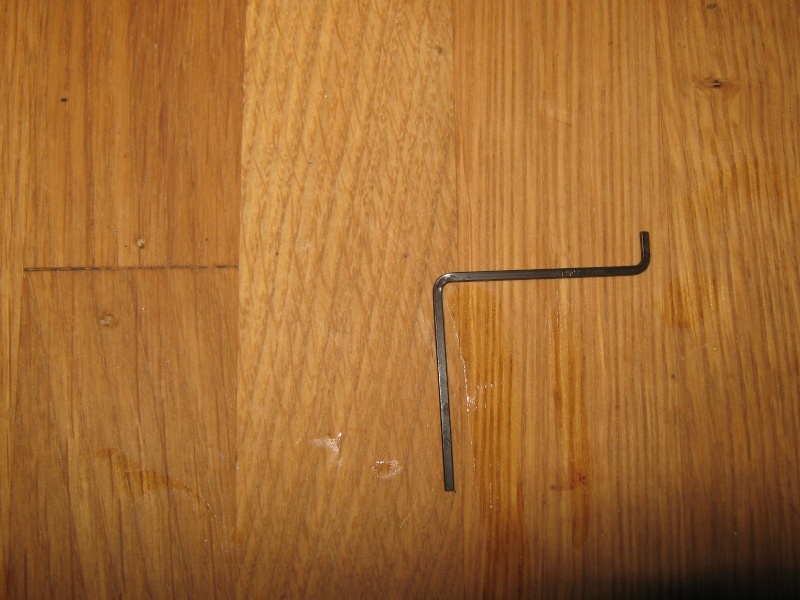 Back then I wasn’t that experienced and was still at the stage of thinking that the tool is doing the job for you which is ridiculous and there is not a single lock pick in the world that will pick a lock by itself. 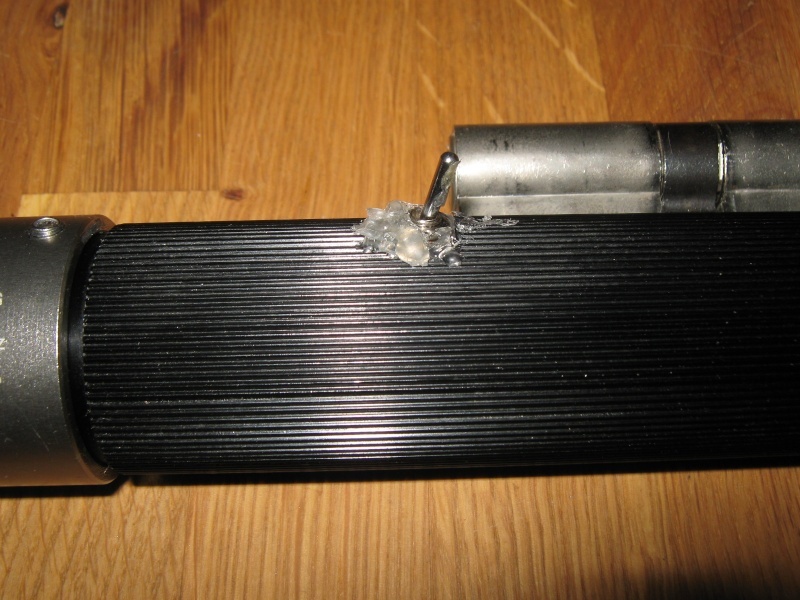 EPG however is a time saver as it will require less skill but a good tension and a feel inside the lock is a must . non of my friends who never picked a lock in their life manged to pick a lock with the EPG . 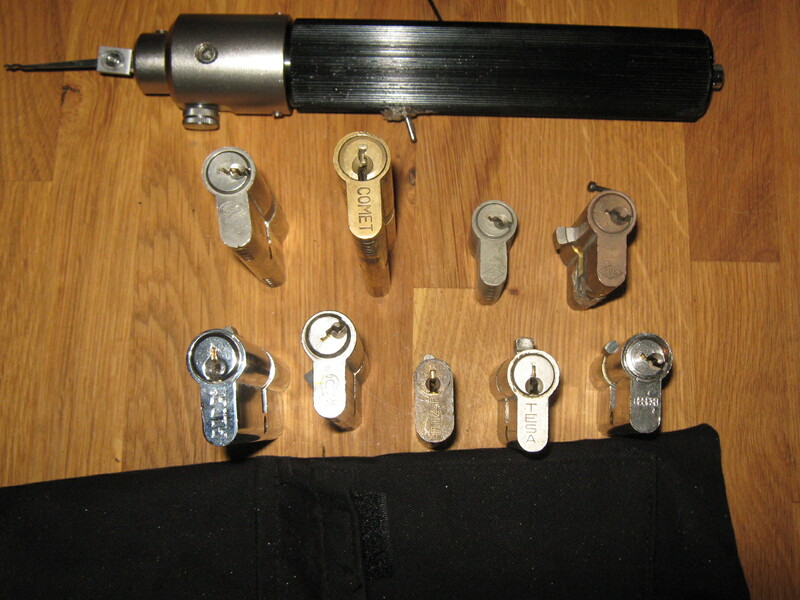 So I sold the German tool to more appropriate locksmith and got myself a Klom EPG which is a great tool with some great results,only trouble that I had to buy 2 more guns as they all died on me in less than 10 mounts each. Last month my 3rd Klom stopped working so I decided to got a different EPG ,I have tried the HPC and didn’t like it so I had to choose from a Dino or Trade Locks EPG . The Dino got some very good reviews from my friends but I was told you have to hold it upside down in order for him to work ,TL EPG was tested by Martin Pink which is in my opinion one of the most knowledgable locksmith in the world and I must add a very nice and helpful person so I went for TL’s EPG. The EPG came in on Monday after which was the fastest delivery ever from the UK to Israel, I read the instructions very carefully and had to wait almost 2 hours for the battery to recharge and let me tell that it wasn’t easy with all the locks that were waiting to be tested. Any way this was done and off I went to pick some locks. My first try was a disaster as I couldn’t pick any thing, I misunderstood how powerful the EPG is and broke 2 picks so I had to change strategy if I wanted anything done. 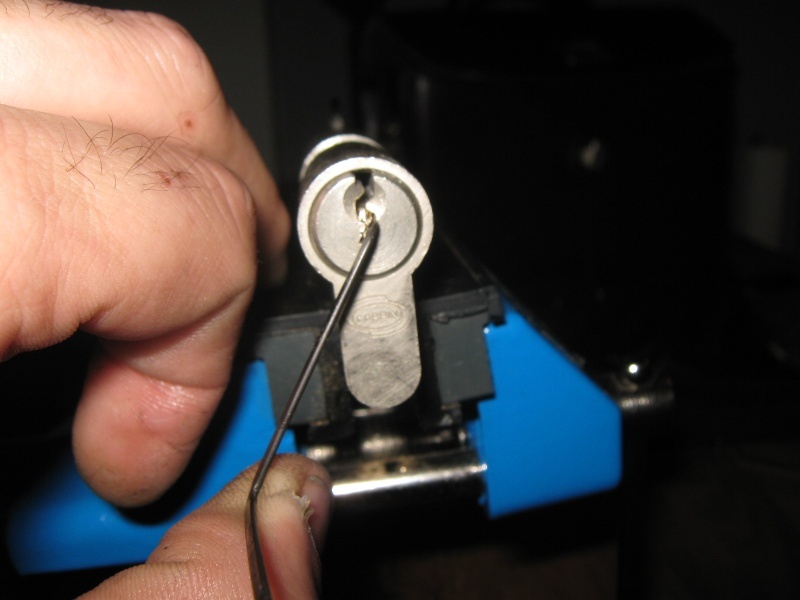 After a some modifications to the pick blades and trying different tension – in versions places of the key hole something unbelievable had happened -locks started to surrender like flies! I’ve also changed the gun’s push buttons as I found it easier to operate with an on/off switch buttons instead of a button I would have to push. 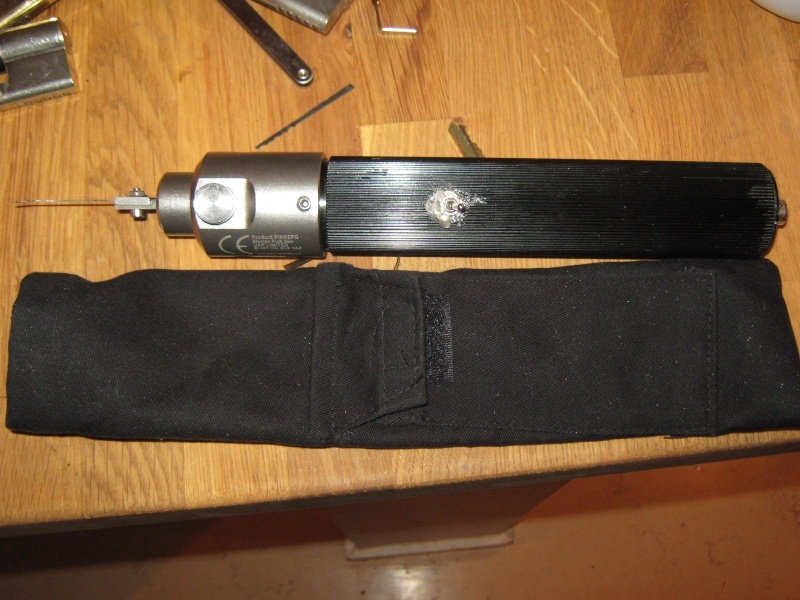 In general I would highly rate this tool but I guess I will have to wait and give it more time but I did look inside the tool and looks of a good quality.